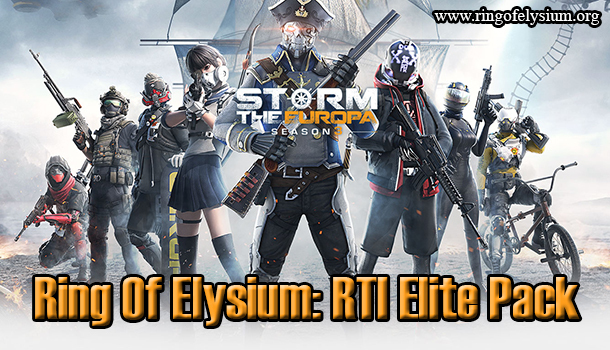 Hacking is always a problem in multiplayer games, and Ring of Elysium (ROE) is no exception. There have been so many hackers trying to kill other players in such mean ways. Lots of players had to put up with these mean people, and they couldn’t do anything about that. To fix this problem, a new system called Report Hack has been launched in Thailand, allowing players to directly complaining to the developers. This can be considered as the obvious move in terms of in-game hacks. When using the Report Hack system, if you meet a certain suspicious player that can probably be a hacker, you can record a video, take a screenshot, and then send it to the developers of Garena Thailand. An investigation will be carried out to find out the truth. If that’s a real hacker, he/she will take punishment, and can be banned from joining the game. This place is where the developers receive the reports and complaints of players with full information, and it’s managed by Thailand’s anti-hacking management team. You can use some translation programs to find out the meanings of all sections because they are all written in the Thai language. Inform clearly on the title of bug or hack/check. Attach your high-quality images or clips. A detailed description of bugs, like jumping high, shooting far, and stuff like that. The name of the character or UID of that accused player. The time when the case should be denounced. The number of times encountering the same trouble. The frequency of the problem. For instance, when you play the game that has some hackers in, you must watch over to see how many times they do the cheats. Report Hack system is already featured in ROE game, however, you should learn that the time for solving the hack cases will be very long. This could be because that it must be gone through the executive technician of the game, then the information will be sent to the anti-hacker team. The players are highly recommended to use this method if they want to denounce any hackers in the game, even though this method takes a period of time to solve. You just simply follow the Google form to report the hackers. Hopefully, this Report Hack system is useful and effective, at least for now.